The hotel features 69 accommodation units. A lobby and a reception are available to guests. Amenities include a baggage storage service and a safe. 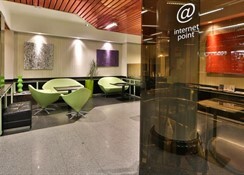 Internet access (for a fee) and wireless internet access (for a fee) are available in the public areas. Gastronomic options offered by the hotel include a breakfast room and a bar. A TV room is also among the amenities at the hotel. Guests arriving in their own vehicles can park in the car park for a fee. Additional services include room service and a laundry. There is a business area with a conference room and a business centre. The hotel's leisure facilities include tennis. 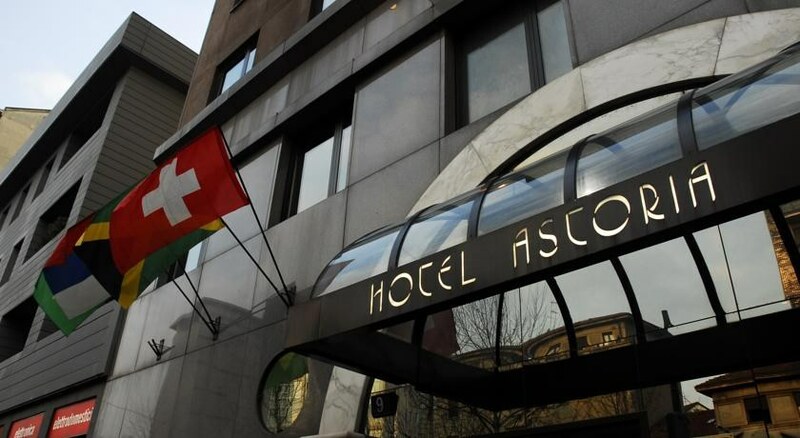 The hotel is situated by the exhibition centre near the Viale Murillo. Milano City, the gallery and exhibition centre, is only 800 metres away. The new exhibition centre Milan Rho Pero is reached in a few minutes. There are restaurants and a bus stop a few minutes away from the hotel (ca. 100 m), and three underground lines are about 800 m away. Access to the motorway is about 1.5 km away from the hotel, and a park with a view of the town from Monte Stella is the same distance away. It is around 2 km to a number of shops. The San Siro stadium is also around 2 km away. There are public transport links to the whole city. Therefore the cathedral can be easily reached in 30 minutes by tram or underground. 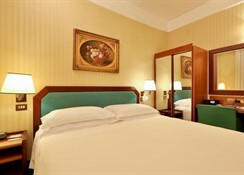 Milan Linate Airport is 20 km from the hotel, whilst Milan Malpensa airport is 50 km away. All rooms feature air conditioning, central heating and a bathroom. The accommodation units each feature a double bed. A safe and a minibar also feature. An ironing set is also available to guests. Guests can enjoy a comfortable holiday with convenient amenities, including internet access, a telephone, a TV, a radio and wireless internet access. In each of the bathrooms, guests will find a shower, a bidet and a hairdryer. On the A1 to A7, follow directions to Tangenziale Ovest/A7 Genova/A4 Torino and take the exit Settimo Milanese. Then go in the direction of the San Siro stadium. From the A4, A8 and A9 motorways take the exit Milano Viale Certosa/Fiera/Lampugnano and follow signs to the centre. At the Viale Renato Serra take a right.